Jordan Peele is producing a new Candyman movie that will serve as a "spiritual sequel" to the original. As for whether or not Tony Todd, the man who brought the horror icon to life in the 1992 horror classic, will return? That remains to be seen. As it stands, Todd hasn't been contacted about appearing in the upcoming project, but he's certainly open to the idea and is waiting for the call to come in. Tony Todd recently spoke in an interview, in part to help promote the upcoming documentary Horror Noire, which examines the black community's relationship with horror. Naturally, Todd was asked about the Candyman sequel and revealed that he hasn't spoken to Get Out director Jordan Peele about it yet, who is producing the movie through his Monkeypaw Productions company. Here's what Todd had to say. "I know he's a fan. We're waiting just like the rest of the world. I'm hoping I will appear in the film in some form of fashion. Wouldn't that make sense? But it's Hollywood, so I won't take it personally if for some reason it doesn't work out. If this new one is successful, it will shed light back on the original. I think the subject matter is more important than any individuals. And I mean that." Ever since this news first broke, Tony Todd has maintained a very positive attitude. Surely he'd be more positive if he got to revisit the role that made him a horror staple, but he seems just as excited about the possibility of what this movie can be as anyone else. Little Woods director Nia DaCosta has been tapped to helm, with Jordan Peele contributing to the screenplay. Undoubtedly, given that Peele is a fan, he'll at least reach out to Todd about it. Between Get Out and his upcoming original horror/thriller Us, Jordan Peele has asserted himself as someone who is providing the black community with a voice in the genre in a big way. Tony Todd, going back nearly three decades, has been a major voice in that community for a long time, which is partially why he maintains his positive attitude about the new Candyman one way or the other. And that's also why he contributed to Horror Noire, which debuts on Shudder on February 7. "The black community has always been a fan of horror films, but in terms of the participants, they've been few and far between. But the ones that have participated have been significant, all the way back from Blacula and the original Night of the Living Dead with the late, great Duane Jones, I was able to do the remake of it and work with George Romero. You have Keith David in They Live, Ken Foree in Dawn of the Dead. Then there's new people on the horizon [like] Jordan Peele. I think the beauty of the documentary is to tie all that together." Lakeith Stanfield is in talks for the lead role in the new movie, as the protagonist, not the title role. Will it be Tony Todd who is stacking up bodies around Stanfield? Or some new actor who has some very big shoes to fill? We'll know soon enough, as production is set to begin in the coming months. 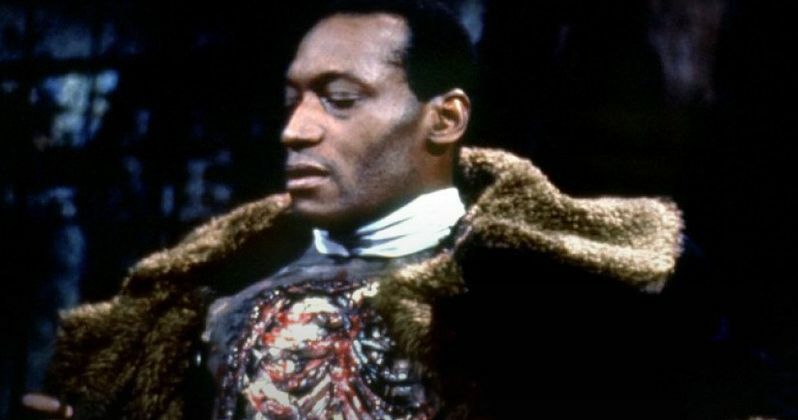 Candyman will hit theaters on June 12, 2020. This news was first reported by Entertainment Weekly.